Today your humble correspondent has had the pleasure of indulgence in a favourite activity – visiting and using open-air swimming pools, especially if they are of the 1920s and 30s lido style with which we are so blessed in the UK. We’ve been really lucky in this regard. We used to live within handy hailing distance of Hampton Pool, saved in the 1980s from the kind of swingeing Thatcherite local authority philistinism that we’d hoped we might have seen the back of for good. Now delivered into the safe hands of a community trust, it serves up heated outdoor swimming 365 days a year, and plenty of other communities and pool management organisations could learn from its all-year-round example. We’ve also managed some great away fixtures including the historic Pells Pool in Lewes, oldest documented freshwater public pool in the country, and therefore well worth the visit we made to check it out a few years ago. It is large, at 20 metres by 40 metres, excruciatingly cold thanks to the fact it is spring-fed, and not like any other bathing experience I have ever had. I recall climbing into it very, very carefully, conscious of my family’s history of sudden, dramatic heart attacks, and not wanting to give my circulation too much of a shock. 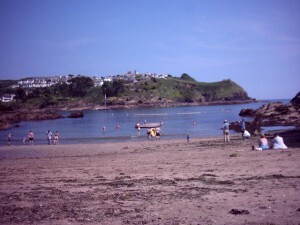 I was a little chastened later, having swum a couple of lengths and started to feel rather peculiar thanks to the effects of the cold on certain primitive and important areas in the nether regions of my brain, to get out and then watch a teenager drop straight into the deep end like a seal off a rock. Reading this back, I fear it may give the impression that I did not enjoy Pells Pool, which would be totally erroneous. 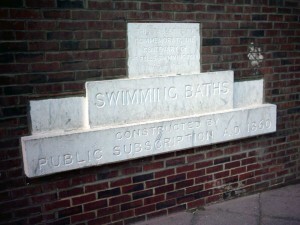 It was a lovely experience, not least because of the wonderful pool design, so different from modern facilities, the relaxed atmosphere and the extensive sunbathing space, and I would recommend that anyone within striking distance of East Sussex visits it and supports the community’s efforts to keep it open. But the swimming itself was bracing and invigorating, in the sense of Scarborough as the wind scours in off the North Sea. A good thing that we spent several hours afterwards lying in the sun to warm up again. In 2006 Iceland recommenced commercial whaling and I stopped holidaying there. But, before that sad event, we were lucky enough to sample some of the outdoor bathing facilities in a country where lounging and exercising in geothermally-heated water is practically the national sport. We swam in the local pool at far-northern Dalvik, simmering gently in a hotpot and enjoying our view of snow-capped mountains almost within sight of the Arctic Circle. Spoiled for choice in downtown Reykjavik, we settled on the majestic Laugardalslaug complex, which is more a kind of cathedral of swimming than a mere pool. 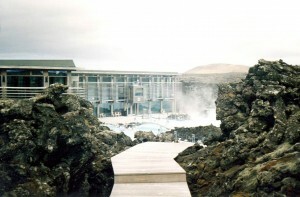 Of course we went to The Blue Lagoon – on the way out and again on the way back during our final Iceland trip, emerging with hair so imbued with silica and sulphur that no hairbrush would go through it and prolonged soaking plus a bottle of condition were required to sort it out. It was a bit hot for comfort, more a spa than a pool, but it used to be unmissable. Emerging rather wistfully from those recollections, it is important to note that sea bathing is a fine alternative to the open-air pool – and if you can combine both, so much the better. I have never managed to visit Cornwall at a time when Penzance’s tidal Jubilee Pool is open, since I tend to go out of season. That’s a great regret since the Jubilee is probably one of the biggest outdoor bathing challenges that the UK has to offer. Hewn out of the Cornish granite in Mounts Bay, it sits on the site of a former battery, and is large enough that at times a bathing platform has been placed in the centre. Filled as it is with unmediated Atlantic sea water, you can draw your own conclusions about temperature. 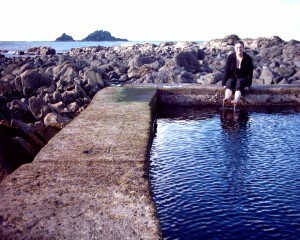 However, as I write, I can feel myself resolving to be in Cornwall next May in time for the opening of the Jubilee Pool. What’s the point in being a lidophile and not visiting it? All of which has served to provide an exceedingly long-winded introduction to the substance of this post. Having previously enjoyed the year-round open-air facilities at Hampton we are now lucky enough to live close to two outstanding lidos – Hitchin and Letchworth open-air pools, both of which enjoy a full 50m length and considerable depth, and both of which were state-of-the-art facilities when built in the 1930s, retaining what estate agents would undoubtedly describe as many original features. I have not yet managed to visit Letchworth. Both these pools (unlike Hampton) enjoy limited summer opening, presumably because both have indoor pools nearby, and because the cost of maintaining them year-round would be prohibitive compared to the demand they would generate. Actually, why am I making the council’s excuses for them? Today I filled in a feedback card lobbying for April to October. Anyway. Because I am a solitary soul as well as a very confident swimmer, one who likes to go at a fast crawl up and down lanes without using inflatables, beginners or other people’s children as target practice for my head, I prefer to visit swimming facilities at times when I estimate they will not be overly busy. Frequenting pools that focus their annual opening on the school holidays makes this extremely hard to accomplish. I am slightly ashamed to admit that, in several years of living so close to these wonderful pools, I have only just visited one of them for the first time. But what a superb experience it was. For a start, you can see into the outdoor section of the Hitchin pool complex through a wire fence from an adjoining and well-used public footpath. How refreshing. So many other open-air pools, Letchworth included, have high fences all around on the offchance that someone might possibly catch a glimpse of someone else swimming inside. Is getting a startling glimpse of movement from some sparkling Hockney-blue water not the single most compelling advertisement for using such a pool? Its visibility also has the handy side-effect of allowing you to see how many people are currently using the facility and how many of them are lane-swimming. Inside the true scale of this 50m by 20m hole in the ground really starts to come home to you. It’s surrounded by sunbathing terraces, a glorious decorative fountain and landscaping, a shallow children’s pool and period buildings but the main pool itself is undoubtedly the centrepiece. Mostly I find that I am struck by how uncompromising it is. Ranging as it does in depth from 1.2m to 2.75m, I discover that average-height me can put my feet down in around a third of its area. My tall accomplice, a much less confident swimmer than me, and one who struggled through unsuccessful primary school swimming lessons at this very venue, can walk around in approximately half of it. This isn’t so much an environment for fun, no matter what the council might put on the summer activity posters. This was meant to be dedicated to the pure pursuit of swimming. As everyone who has ever kicked and struggled their way around some puddle-deep ‘spa pool’ at a health club or hotel will know, depth is wonderful. Depth is freedom because depth means buoyancy and ensures that every stroke of the arms or kick of the legs propels you forward like a fish instead of struggling to support your body weight. If you are not particularly confident, stay by the side by all means, but try to coax yourself out of the shallows sometime. Everything will suddenly make sense in the deeper water. How right then, that this pool should be deep, even if it does confine the nervous to the indoor facility under halogen lights. Yes, using it is scary and challenging. Even as a strong swimmer, straying too far into the middle when swimming 50 metres at a time, two-thirds of which is out of my depth, gives me pause for thought. Good. The fear and the challenge is what makes it worth doing. Risks assessed are risks ripe to be tackled. I’m writing this on Thursday September 9. The pool is due to close for the winter on Sunday September 12. I might be able to get one more visit in before then. I shall hope the weather is fine (although visiting an outdoor pool on a snowy day remains one of my ambitions) and if it is I shall take a towel and a book to the swimming area, charge up and down the pool for a bit and then laze around waiting to dry out so I have to spend the minimum amount of time and effort on getting changed. Recently I went to a study day organised by the British Humanist Association at Conway Hall in London – and wrote a very full account of it for this blog, which you can find here. Among the speakers was Ken Worpole, a self-described social democrat as well as a keen chronicler and advocate of the concept of public space. One of the things he said that stuck with me, bringing us back to the unwelcome Thatcherism of the introduction, is how public services had recently become services of last resort. If one uses public transport instead of a private car, public health services instead of private insurance, public leisure centres instead of private health clubs, one is adjudged a failure. Nowhere is this perhaps more evident than in the demise of public housing at the expense of the private sector. And how much have we lost through this terrible attitude? Crucially, the idea is not only that everyone should have cheap access to swimming, sunshine and fresh air although this pervasive, almost utopian public health ethos of the thirties is certainly to be found at the roots of a facility like Hitchin Outdoor Pool. However less obvious but every bit as important is the idea that we should have somewhere for people of all ages, incomes, occupations and outlooks to mix and to meet each other. This is how society is made and barriers brought down. Idealistic? Maybe. And maybe we need to discover a bit of our idealism in the face of the relentless promotion of market values in all areas of our public and private lives. Especially now. Because facilities like this one are a great example of something the private sector can never do better. The value of a historic lido to its community is huge, as demonstrated by the superhuman efforts put in around the country to keeping them open and getting the closed ones refurbished, and it cannot best be expressed in economic terms. It takes the public or the third sector to find imaginative solutions to the challenges of keeping such facilities in use and fulfilling the purpose they were intended for. A purpose that has endured for 80 years or more. Let’s not be the last selfish generation that enjoys them. Oliver Merrington’s Lidos.org.uk – the essential guide to this subject, a site I’ve been using for years. And a great opportunity to say thank you to Oliver for creating and maintaining it. The Outdoor Swimming Society – an organisation dedicated to upping the fun quotient for British swimmers and getting them back out under the open sky.